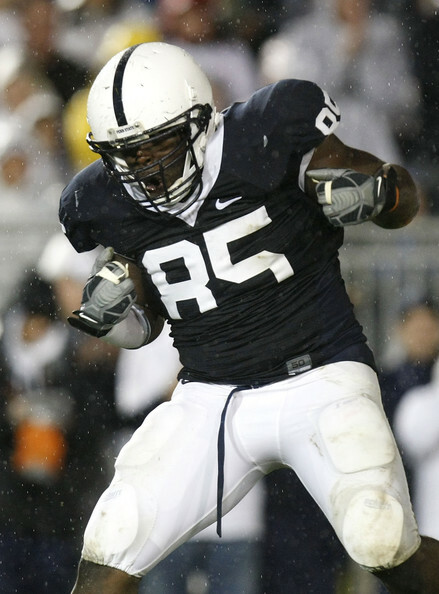 When we previewed the Iowa Hawkeyes, we indicated that the Nittany Lions would have to win the war in the trenches if they were to escape Iowa City with a victory. However, once again, both the Lion Offensive and Defensive lines were dominated by Iowa. This is particularly disappointing on the Defensive Line where it appeared the Lions matched up significantly better with the rebuilt Hawkeye Offensive Line. What is more disturbing however is the trend that has unfolded over their five games of the 2010 Season. That is, neither the Offensive or Defensive Lines have dominated any one opponent thus far this year. In fact, other than Ollie Ogbu, no lineman on either side of the ball has had consistent, solid play at their position. Even Stefan Wisniewski has made mistakes at times including Saturday night when he blew a block assignment which resulted in a big hit on Freshman QB Robert Bolden. Speaking of Bolden, he continues to show his talent and poise despite being hit and chased out of the pocket repeatedly. Most disappointing Offensively is that with the exception of Chimo Okoli (who replaced injured Lou Eliades at RT), the entire Offensive Line logged significant playing time in 2009 yet has not come close to playing together as a strong unit in 2010. Yet, media outlets and Penn State homers continue to speak of this group’s youth – not one linemen is a Freshman or Sophmore along that side of the ball. The loss of two TE’s Andrew Szczerba (before the season) and Freshman Gary Gilliam (Saturday with a torn ACL) has not helped the struggling O Line whatsoever. Along the D Line, Jack Crawford, Devon Still and Eric Latimore have been huge disappointments. Both Crawford and Latimore were starters in 2009 (with Still logging big minutes) and have not shown signifcant progress in 2010. In fact, Latimore’s play has been lacking enough to allow Pete Massaro to log more minutes over the past three weeks where he has shown more quickness off the ball. Devon Still still appears to lack the motivation and every down capability that concerned coaches last year and culminated Saturday with Joe Paterno demanding he be pulled and replaced by Fr Daquan Jones for a spell then others as well to send Still a signal that his continued poor play will not be tolerated. Problems exist too at LB where Khairi Fortt and Grayshirt Freshman Glenn Carson saw the field more than any game yet this season. At Cornerback, Stephon Morris was targeted by Ricky Stanzi and the Iowa Offensive Staff after the Hawkeyes spotted an obvious mismatch with Morris, 5’8″ attempting to cover much taller, top Wide Receiver Derrell Johnson-Koulianos unsuccessfully – which raises yet another question – why does the PSU Staff continue to recruit smurf-like Corners when most Big Ten teams and national powerhouses line their rosters with 6’2″ to 6’4″ Wide Receivers? The Lion Coaching Staff has done this for years and the Lions continue to pay the price as a result. The Lion performance Saturday night raises many questions for the balance of the season, not the least of which is when will we see marked improvement along both the Defensive and Offensive lines. With an improved Illinois team visiting Happy Valley this week, a road trip to Columbus in November and a return trip home versus Michigan State to wrap up the 2010 capmpaign, the Lion Coaching Staff must find quick solutions in order to salvage a difficult and dissappointing season thus far.